How to get More than the Cash Surrender Value! Over the years, it’s possible to build up a substantial investment in a life insurance policy. Many people find themselves watching the amount they’ve paid into the policy increasing every year–but as it increases, they aren’t able to take advantage of the policy. Typically, a life insurance policy is intended to benefit the dependents of the policyholder, rather than the policyholder themselves. In some cases, however, that money starts to look tempting, especially as the senior year’s approach and the policy holder experiences some of the unexpected expenses that come along with aging. There’s just one problem: the cash surrender value of the policy is usually substantially less than what’s been paid into the policy over the years, and it’s certainly less than the face value of the policy. What is the Cash Surrender Value? If you’re wondering, “What is cash surrender value?” you’re not alone! The cash surrender value of life insurance (CSV) is the amount you’ll receive if you decide to cash in the policy prior to your death. This is a significantly lower sum than you would receive if you were to die and the value of the policy was paid out to your dependents. What If I want More than the Cash Surrender Value of the Life Insurance Policy? 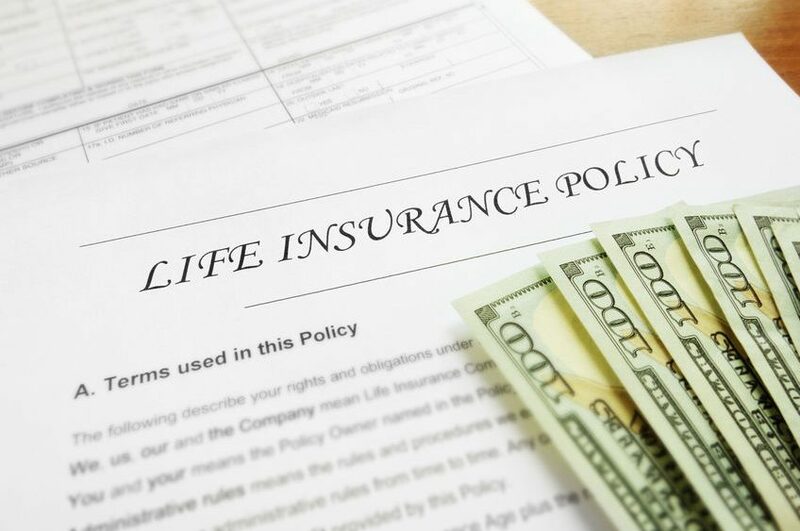 If you’re in the position of deciding whether or not to sell your life insurance policy, but want more than the cash surrender value, there are options! Fortunately, you don’t have to get stuck on the cash surrender value of life insurance when you’re deciding whether or not you want to trade your policy for cash now. You can choose a life insurance settlement, which is a standard option available to anyone with a life insurance policy, or a viatical settlement, which is available to those with a terminal illness and less than two years to live. With either option, you’re able to obtain less than the face value of the policy, but more than you’re able to obtain by opting for cash surrender. While your cash value will vary depending on these factors, most people find that an insurance settlement is the better value for their policy, especially if they’ve been forced to sell the policy due to expenses beyond their control. The cash value of your life insurance policy is likely significantly less than the amount you can expect to receive as a result of a settlement–and that means that if you opt for the cash value alone, you’re missing out on a great opportunity to increase your available funds and make it easier for you to meet your financial goals. Viatical settlements are similar to life settlements, but they take place when the insured individual has less than two years to live due to the diagnosis of a terminal illness. These settlements typically offer a much higher cash value than traditional settlement, primarily due to the faster return for the investor. Viatical settlements do not have an age limitation since terminal illnesses can strike at any age. Offers for this type of policy typically range from 30-80% of the face value of the insurance policy. Why Opt for an insurance Settlement? Pay living expenses that go above what was anticipated at this stage of your life. Elderly individuals often find themselves facing unexpected living expenses after retirement, especially if they retired early and had found themselves living longer than initially anticipated. A settlement can substantially increase the available cash many seniors have on hand, especially if they’re able to invest the proceeds of the sale. Deal with expensive medical costs. As you age, you’ll experience increased health-related costs. While there are state programs in place that will help with many of those medical costs, there are also expenses that simply aren’t covered by Medicare or Medicaid. This may include things like the cost of a nursing home or assisted living facility that doesn’t accept these policies. An insurance settlement can transform many individuals’ ability to pay those costs. Your car, which you expected to last through the rest of your life, has been totaled. Your home has been the victim of a natural disaster, leaving you with costly repairs. While a settlement should not be used as an emergency fund–after all, it’s one you can only dip into once!–it’s also, a good way to improve your financial standing and take care of expensive, unanticipated emergencies. Enjoy the last years of your life. If you’ve been diagnosed with a terminal illness and have only two years or less left to live, the viatical option will quickly start to make sense. With a viatical, you’re able to take advantage of your life insurance policy and make use of the money that you’ve so carefully invested in life insurance over the years. This might include taking the opportunity to travel, spending more time with loved ones instead of having to worry about a source of income during these last years of your life, or simply making your last years more comfortable. An insurance settlement is an excellent option for increasing your available funds and handling many difficult situations. It’s also, however, essential to consider several key factors before you choose this option. What was your life insurance policy intended to cover? Many people choose to invest in life insurance to help their families out in the event of their untimely death. This might include considerations like sending minor children to college, paying for a spouse who has been out of the workforce to further their education or have time to get a job, or other serious financial considerations. As you move into your senior years and your home life changes, however, these items may no longer be a consideration. Your spouse, for example, might have long since gone back to work and attained an income that will allow them to support themselves, and your children may now be independent adults who do not need your funds. Do you have a plan in place to cover burial expenses? Some life insurance policies are intended, not to provide for survivors, but to cover burial expenses. If you do opt for an insurance settlement, make sure that there are funds in place to cover those essential expenses so that you don’t leave that burden on your family. In some cases, setting aside a portion of the funds from your settlement may be enough to help provide peace of mind. How will your estate pay for end-of-life expenses? If you’re considering a viatical, you may be intending to cover many of your health-related costs with the money. If you’re planning to use the money for travel, living expenses, and other things, however, make sure that you’re carefully considering how you’ll pay for those last bills so that they aren’t left as a burden to your surviving relatives. Careful financial planning will help alleviate many of these concerns. Opting for a settlement is a great way to increase your available funds, especially when the primary reason for the policy is no longer a consideration. By carefully thinking through your decision and making financial plans that will suit your situation and your needs, you can put yourself in a better position to handle the funds wisely. If you need money now, there’s no reason to have it sitting in limbo, waiting for your death! Instead, enjoy the money while you’re alive and reap the benefits of your careful investments. Knowing your life insurance cash surrender value and how you can extend it as a result of a settlement will allow you to make your money work for you. Next Post Converting term to whole life: Can you sell part of your Life Insurance? I have been browsing on-line more than three hours nowadays, yet I never discovered any fascinating article like yours. yet I by no means found any attention-grabbing article like yours. the biggest changes. Thanks for sharing! present here and can’t wait to take a look when I get home. the usual information a person supply for your visitors? if I may I want to suggest you few interesting issues or advice. Tx! Just wanted to tell you keep up the good job! I have been surfing online more than 3 hours nowadays, but I never discovered any attention-grabbing article like yours. the web might be much more useful than ever before. I truly love your site.. Very nice colors & theme. and would like to know where you got this from or just what the theme is called. I believe that you just can do with some percent to pressure the message house a little bit, however other than that, that is excellent blog. time to look over it all at the moment but I have book-marked it and also added your RSS feeds, so when I have time I will be back to read much more, Please do keep up the great job. There is certainly a lot to know about this subject. I really like all the points you’ve made. Way cool! Some very valid points! I appreciate you penning this write-up plus the rest of the website is very good. issues or tips. Perhaps you could write subsequent articles regarding this article. I desire to learn even more issues approximately it! Hey just wanted to give you a quick heads up. The words in your article seem to be running off the screen in Firefox. web browser compatibility but I figured I’d post to let you know. I will immediately grab your rss as I can’t find your e-mail subscription hyperlink or newsletter service. late, but I by no means found any attention-grabbing article like yours. I visited various web pages but the audio feature for audio songs present at this web site is in fact marvelous. you some interesting issues or tips. Maybe you could write next articles regarding this article. and continue to help others. its really rreally goopd aragraph oon buildig upp neew webpage. This is a topic that’s near to my heart… Thank you! sort of space . Exploring in Yahoo I at last stumbled upon this site. uncanny feeling I found out exactly what I needed. about your article on AOL? I need an expert on this house to resolve my problem. tablet that runs as a PC (Asus Transformer) that I can run this on. If it have been to get mounted and change into smoother, This evaluate will get modified. I figured out more interesting things on this losing weight issue. Just one issue is a good nutrition is extremely vital whenever dieting. A big reduction in bad foods, sugary food items, fried foods, sugary foods, red meat, and bright flour products may perhaps be necessary. Retaining wastes parasites, and contaminants may prevent goals for fat-loss. While a number of drugs momentarily solve the matter, the awful side effects aren’t worth it, and they also never supply more than a temporary solution. It can be a known proven fact that 95 of celebrity diets fail. Thanks for sharing your opinions on this blog site. longer terrm and it’s timee tto be happy. I’ve read ths submt aand iif I could I want to counel yyou feww fascinating thinggs oor advice.